Everyone is welcome! You will be greeted by a smiling face! We have free Wi-Fi as well as a complimentary coffee bar. What time are our services? Everyone is welcome in whatever attire you feel comfortable in. Come as you are! Yes. We provide nursery care for Sunday School and Sunday Church services for kids from birth to 3 years old. Our nursery is a great place to leave your little ones- we love to snuggle, play, and read with your babies. They will be safe and secure with us! Yes. We have Sunday School programs for kids of all ages. Our Children’s Ministry exists to partner with parents in raising spiritual champions. We believe that in a child’s life we are just one of their threads to success. Our hope is that you will join our team and network with other parents to beat the odds, and have children who fall in love with Jesus and remain close to Him. No. You are our guest and are under no obligation to participate in the offering. We want God to use our service to be a blessing to you. We exist as a church family to help you see hope, experience love, and discover your purpose. It's about what we can do for you, not the other way around. Pastor Damon and his wife, Liane, have three children: Matthew, Kristen, and Jaxon. They are moving to Michigan from Macon, Georgia. Pastor Damon and his family seek to serve in a church reaching multiple generations for Christ, with a clear communication of the Word of God. It is their passion to worship Christ in their daily life and to be part of a body of believers that reaches into the community with the life-changing message of Jesus Christ. Pastor Damon will be challenging our community to take steps of faith, with God as our Guide. 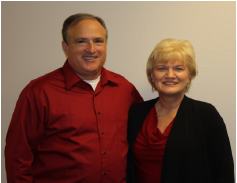 David Mackaluso has been the Pastor of Wakeshma Community Church since April 1990. He and his wife Winifred have two children, Lisa and Josh. Winifred is a teacher with the Athens Community Schools. Lisa is married to Caleb Snyder and they have two children, a son Rowan and daughter Theryn. Josh is married to Charissa and they have two children a son Adam and daughter Lydia.